Finally, our plans for the next seven months are here. Some of this is still to be confirmed, so please subscribe to the blog for a reminder and further details about each event as it comes up! 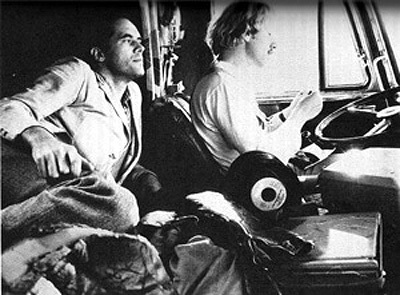 Feature screening of Kings of the Road (1976), Wim Wender’s film about a travelling cinema projectionist on the borders of East and West Germany. The film will be presented by Ollie and Emma from the Vintage Mobile Cinema, Philip from the Magnificent Cycle-Powered Cinema, Joe from the solar-powered OneWay Theatre, and representatives from Screen Machine and Bicycology, who will all be around to talk about whether mobile cinemas are particularly appropriate for taking you outside your normal space, or for making film relevant to particular hard-to-reach audiences. Karolina Kendall-Bush will also present a short ten minute travelogue from the archive, London Medley, and talk about cinema’s early promise to ‘always take you somewhere’. 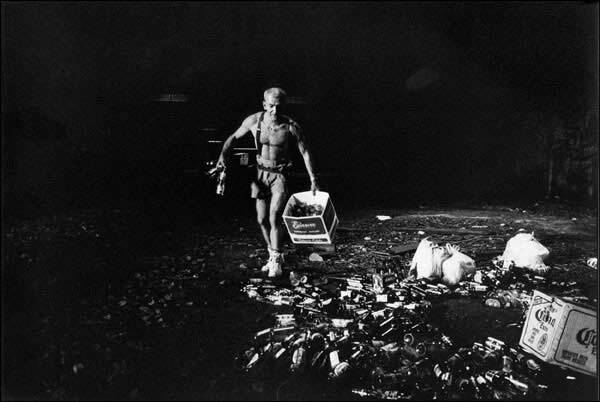 Feature screening of Dark Days (2000), Marc Singer’s incredible documentary about the homeless living in abandoned tunnels under New York, with a soundtrack by D. J. Shadow. The film will be presented by Open Cinema, a network of film clubs and film-making projects for socially excluded people, who will show some of their shorts beforehand. Neil Mitchell, author of World Film Locations: London (2011), will also talk about his research into ‘Dark Days’. 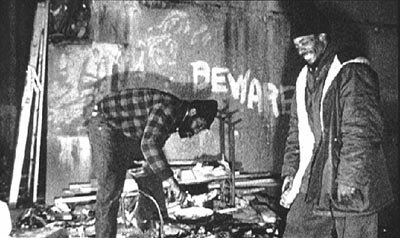 We will also show the short film Urban Exploration by Bradley L. Garrett, about the urban explorers who are currently discovering and recording unofficial, derelict and underground urban spaces. Any profits will go to Open Cinema’s continuing projects with the homeless. On Thursday the 21st April, PASSENGERFILMS will be talking about zombie landscapes on AtomicBark!’s Zombie Zero Apocalypse radio show, from 7-8pm on Resonance 104.4FM (www.resonancefm.com). 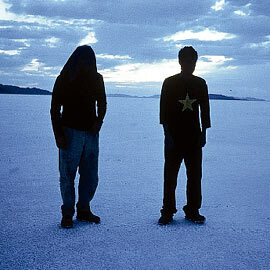 Feature screening of Gerry (2002), Gus Van Sant’s film about a hiking misadventure which leaves Matt Damon and Casey Affleck dehydrated and wandering in the American desert. Minimalist soundtrack by Arvo Pärt, and plenty of long shots of grand but bleak landscapes. From Friday 20th to Sunday 22nd May, PASSENGERFILMS will be helping to co-host the first UK Green Film Festival at its London base, Shortwave Cinema on Bermondsey Square. There will be a number of screenings and green events over the weekend: more details to follow here. 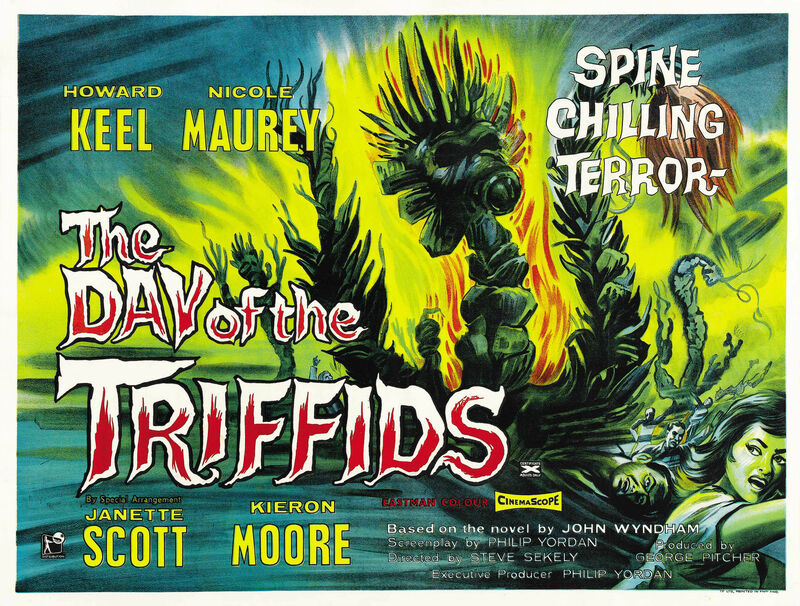 PASSENGERFILMS is particularly excited about running the eco-horror night, with The Day of the Triffids (1962) on Friday night at 10.30pm complete with costumes, drinks, and a Triffid cake to be provided by Cakes & Crunk. This year’s Stoke Newington Literary Festival (3rd-5th June) is on the theme of Edgar Allan Poe. 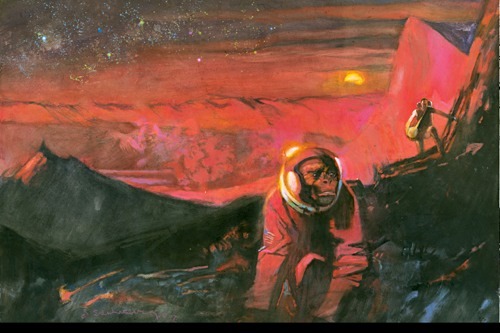 On the night of Friday the 3rd, PASSENGERFILMS will be screening some Poe & Defoe themed films at Ryan’s Bar, including Robinson Crusoe on Mars (Haskin, 1964), above. This will be taking place just across the street from where Poe went to school, on Stoke Newington Church Street, and just metres from the Defoe wall plaque! 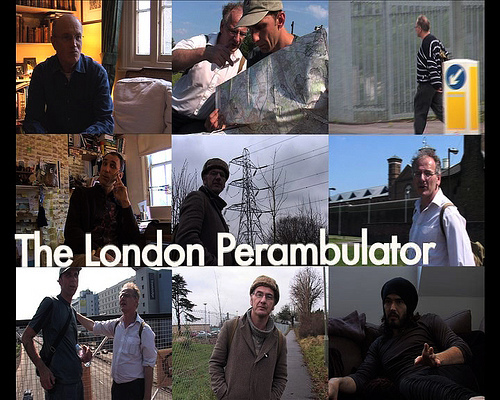 Feature screening of The London Perambulator (2009), John Rogers’ film about a man dedicated to the study of his region of Middlesex in all its liminal glory. Includes extended interviews with Will Self, Iain Sinclair and Russell Brand. See the film’s blog here. John Rogers will be present, along with Nick Papadimitriou, with whom he runs the radio show Ventures and Adventures in Topography. Nick will be reading (with musical accompaniment) from his forthcoming book, Scarp, an investigation of the North Middlesex / South Hertfordshire Escarpment, which he says has been overlooked in landscape literature. Our July screening is on the theme of ‘Backwoods’ and the accompanying fear of the British rural. The feature screening will either be Eden Lake (2008) or The Last Great Wilderness (2002). The film will be presented by Stella Hockenhul, author of Sublime Landscapes in Contemporary British Horror (2010). PASSENGERFILMS tries not to be biased, but it’s no secret that our favourite topic is zombie geography. 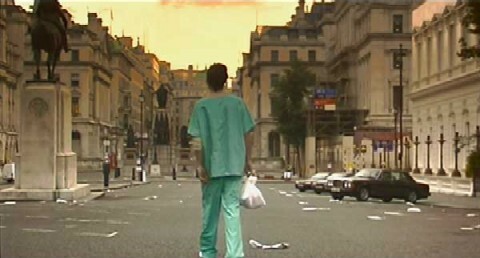 In August we will present the feature screening 28 Days Later (2002) alongside talks about zombie transport, the kinetic dead, and the use of the industrial networks – as well as the legacies of plague narratives and the similarity to plague landscapes. Come dressed as a zombie or a geographer, or don’t come at all! 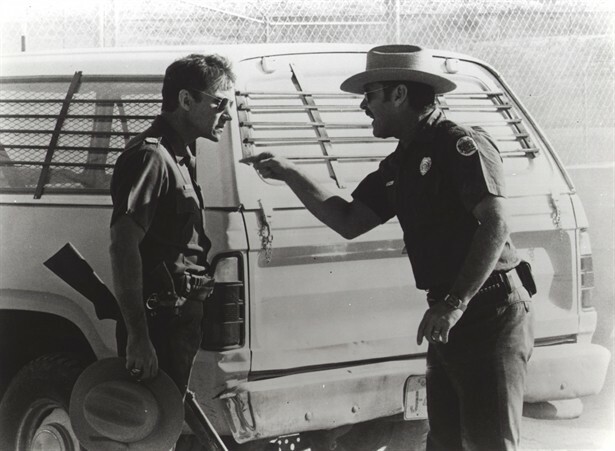 Feature screening of Tony Richardson’s The Border (1982), soundtracked by Ry Cooder and starring Jack Nicholson as a corrupt border agent. This will be accompanied by talks on the cinematic presentation of borders, and particularly border control.